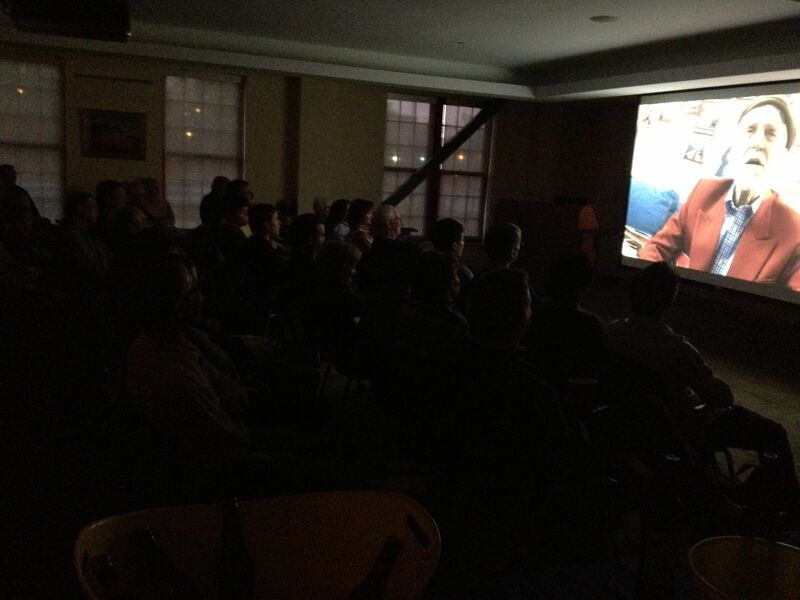 A mighty great time was had by all at our April 18 “Mighty Uke” screening in Lowell! S P E C I A L T H A N K S ! WE THANK YOU — last night was absolutely amazing! The "Mighty Uke" crowd arrives! Don Ouellette shares his uke memorabilia. Great stuff! The "Mighty Uke" brought the folks out in droves! Dan Mathis preps the post-film strum-a-long. Thanks, Dan! This young man DAZZLED us with his playing. Amazing! We were THRILLED to bring The Mighty Uke to Lowell — thank you all once again for making what we do so much fun and fulfilling, and for allowing us to share the wonder of cinema! We hope to see you again SOON! This entry was posted in From the Lowell Film Collaborative, Lowell Film News, Lowell Screenings and Events and tagged Howl in Lowell, Jeanne D'Arc Credit Union, Lowell Film Collaborative, lowell film events, Mighty Uke Lowell, Mighty Uke movie, Ukulele movie Lowell. Bookmark the permalink.